There’s a lot of sweetness in my life. I have a two little girls that give me kisses and cuddles, a dog of unimaginable patience and 900 stuffed animals currently in residence in every nook and cranny of my living room. So much sweetness, it can make a toothache. Makes sense to bring all that sweetness to bear when making a little actual toothache action. 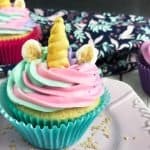 So I made a batch of these awesome little Unicorn Cupcakes. Just about so much sweetness a girl could just giggle. 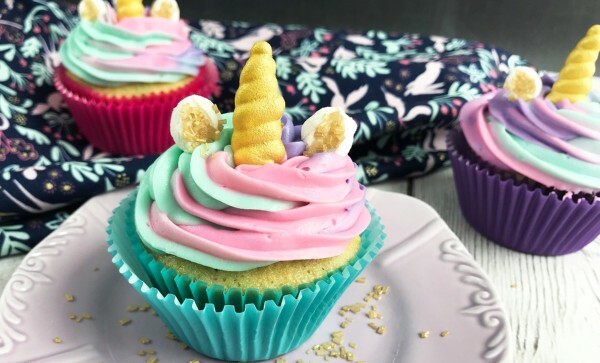 I think I’ll let you in on a little secret: The real magic to these adorable unicorn cupcakes is the neon food coloring and the gold sprinkles. Ok. So the horn is cool too–and kind of makes it into a unicorn…and I found those at Hobby Lobby. So you can totally get yours on really easily. No, really, even doing the swrily cuteness of the icing is totally easy…see? Stop arguing with me that you can’t do it and just try. If I can do it, you can…it’s ridiculously simple. 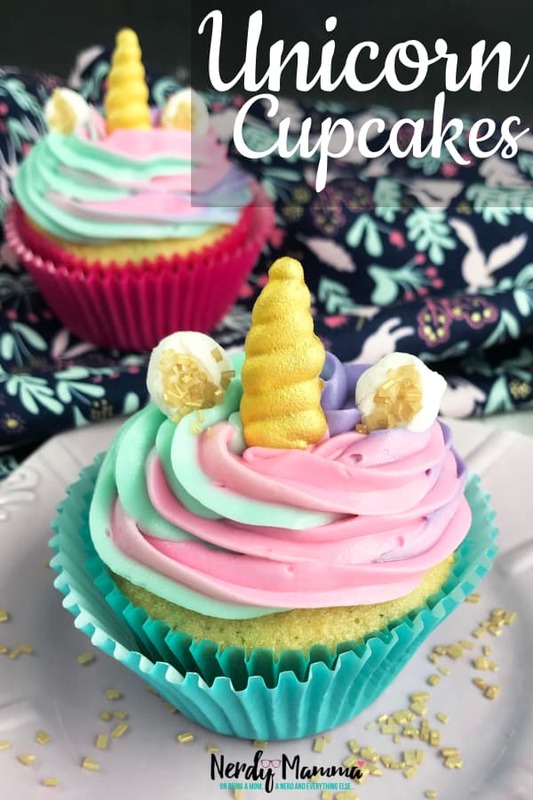 Just get your Unicorn Cupcakes made an enjoy your afternoon, sweetness. 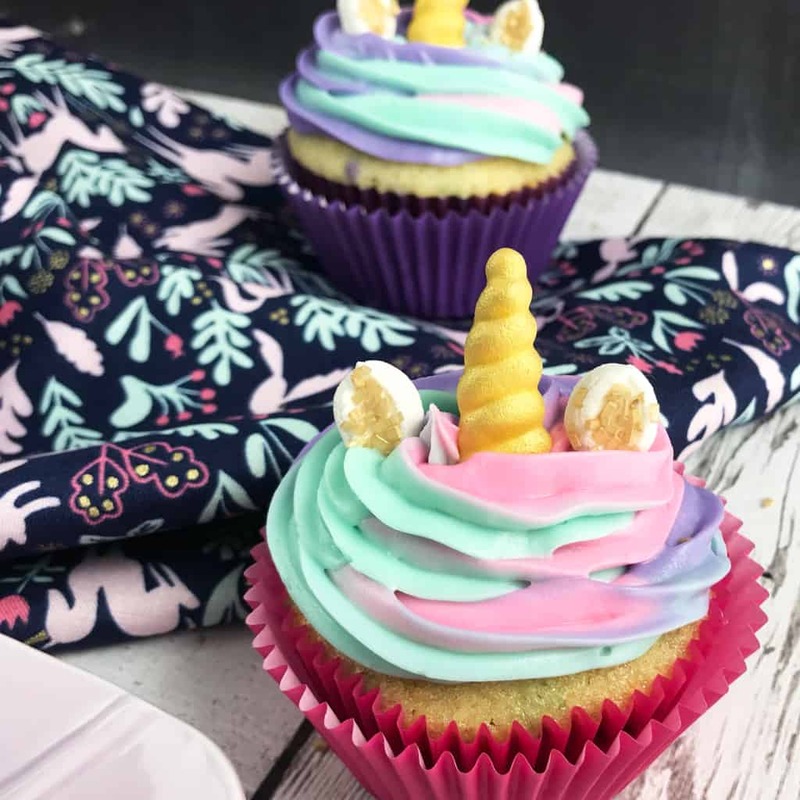 And don’t forget, get your pin on for these sweet Unicorn Cupcakes so you’ve got them for your next unicorn party…then get ready for all the magic you could possibly handle. Add 1 drop of gel food coloring to each bowl of frosting and stir to combine. Repeat step #10 with the other 2 frosting colors. Once all the frosting is lined up, gently roll the plastic wrap as shown in the photo. Place in the fridge a few minutes to firm up. 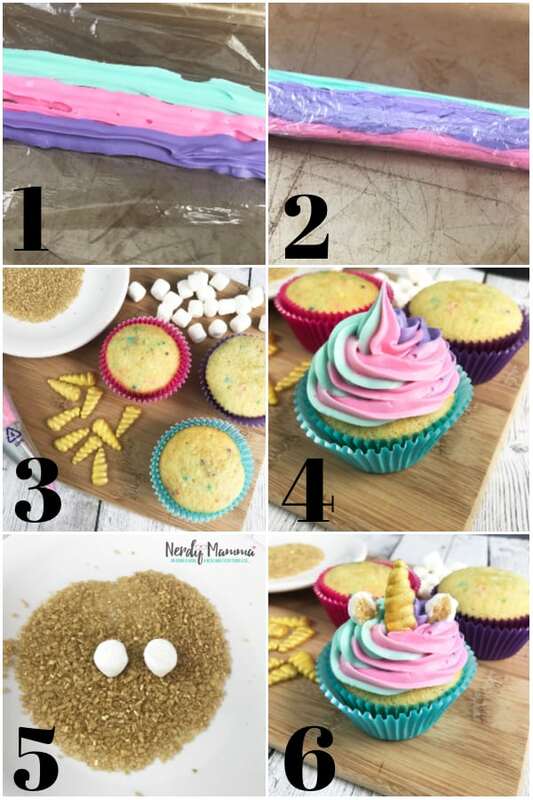 Give each cupcake a gold unicorn horn. Use the kitchen scissors to cut the mini marshmallows in half and dip the sticky side into the gold sprinkles for ears.